Since I’ve been obsessively cruising the ebook stores for m/m romance I’ve noticed a certain character popping up more and more. Maybe it’s me, but don’t you think there are a heck of a lot of bookstore owners who are gay?? 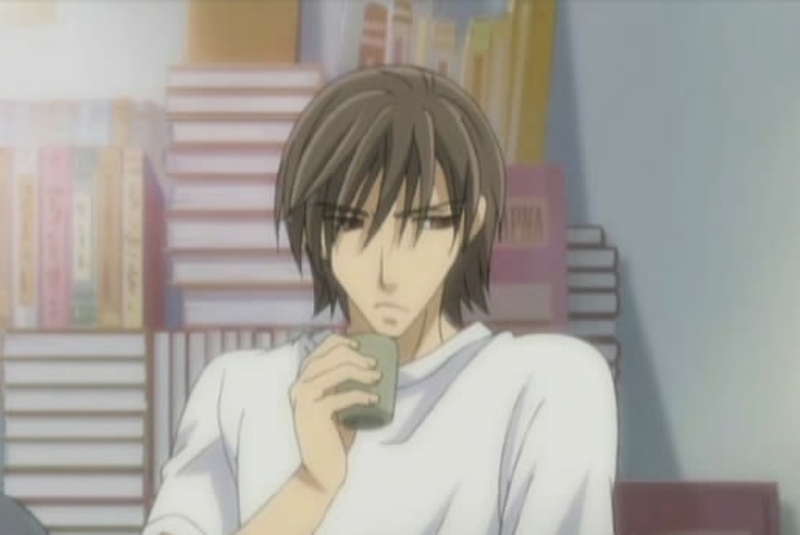 Image from Junjou Romantica anime. I’m not dissing the authors of these books, because, hey, this kind of story has a couple of my favourite things (ie gay guys, romance and bookstores). It just seems a little weird that there are a few of them about at the moment. This entry was posted in m/m, maybe it's me but, tropes, weird. Bookmark the permalink. You are right! I’ve read quite a number of book shop owners recently too!Perhaps it’s because it’s a job which suggests intelligence and is good for a beta because it’s not too macho. Phew! Thank God someone else has noticed this.I think you’re right that the bookstore owner is a good beta character. My only worry would be that it becomes a cliche/convention to the genre. You know, the poor, troubled book store owner, etc, etc.